André and I have both turned to the potential of regional anesthesia in time of war to provide safe, compassionate, and logistically sound anesthesia and analgesia to soldiers wounded in combat. André served in the South African Defense Force in 1975 during the Angola War as the only anesthesiologist for the Forward Surgical Unit. Clutching a worn copy of Daniel Moore’s 1967 4th edition textbook, “Regional Block,” he quickly applied the lessons therein to many war casualties in long operating room sessions. In an effort to improve efficiency and avoid repeated axillary blocks for soldiers with upper extremity wounds that required further surgery or dressing changes, André performed axillary artery cut-downs and then passed central line catheters cephalad next to the artery to where the plexus crosses the first rib to provide continuous access to the brachial plexus for re-block and continuous analgesia of the arm. These catheters would remain in place for weeks and were used for frequent dressing changes and debridements common to war wounds. André’s experience likely represents the first utilization of a continuous peripheral nerve block during war. Many years later, in 2003, employing far better equipment and the same love of anatomy, I would place the first continuous peripheral nerve block in a United States soldier evacuated from Iraq after sustaining near fatal injuries that included a traumatic amputation of his left leg below the knee. As in André’s experience, these continuous regional techniques provided excellent operating room anesthetic conditions, remarkable perioperative analgesia, and greatly enhanced the wounded soldiers comfort during long evacuation flights without the nausea and respiratory depression associated with the exclusive (and at the time far too common) use of morphine for pain management. I am pleased to say that regional anesthesia and continuous nerve blocks are now routine practice in American military and civilian medicine. There are few situations in medical practice that are more unforgiving and difficult than the management of polytrauma casualties in austere battlefield conditions. The “discovery” of the utility of regional anesthesia by two (much younger at the time) anesthesiologists on two very different battlefields, separated by decades, is a testimony to the power this technique affords the anesthesiologist willing to invest the time necessary to acquire the essential anatomical knowledge required to apply these techniques safely, successfully, and consistently. 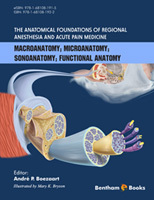 It is against this background that André has produced an anatomical text that focuses on the macro-, micro-, sono-, and functional anatomy that is vital for success in the field of regional anesthesia and acute pain medicine. So much of our teaching was, and regrettably still is, focused on how to find the nerves (ultrasound, nerve stimulation, paresthesia), and by far not enough on where these nerves are and what tissues and membranes surround them. This book gives equal weight to all three of these matters. The anatomical focus and approach to regional anesthesia provided in this text is refreshingly unique and much needed. Certainly, ultrasound technology in regional anesthesia has been revolutionary in terms of our ability to place needles and deposit local anesthetics in appropriate spaces around target nerves. Unfortunately, some have leaned too heavily on this technology as a crutch to overcome a poor grasp of basic anatomy. I predict that, like André’s worn copy of Daniel Moore’s “Regional Block” saved the lives and reduced suffering of many hundreds of wounded soldiers during the 1975 Angolan War, “The Anatomical Foundations of Regional Anesthesia and Acute Pain Medicine” will become a cherished companion of countless anesthesiologists who desire the virtues of regional anesthesia and understand that they must apply these foundations safely and with the confidence that is borne from a detailed knowledge of human anatomy. It is my great honor to be the first to congratulate André Boezaart on this masterful effort that is the product of, and was inspired by, a truly remarkable career in anesthesiology. André does all of us, new and old acute pain specialists and regionalists alike, a great service with this refreshing look at the modern practice of regional anesthesia and acute pain medicine based on the timeless application of gross human anatomy, also now studied through modern microscopic lenses, by ultrasound beams and defining the nerve functions with electrical stimulation – macro-, micro-, sono- and functional anatomy. “The anatomical foundation of regional anesthesia and acute pain medicine. Macroanatomy, microanatomy, sonoanatomy, functional anatomy”. Over the last decade, ultrasound - as a tool for performing regional anesthesia and acute and chronic pain treatment - has changed everyday practice for anesthesiologists around the globe. There is a plethora of books, atlases and educative websites available that all cover certain parts of the “performance process” of these techniques. Over the years, Professor Dr. Andre P. Boezaart, editor of the abovementioned textbook, has hammered the quintessential foundation and golden rule of every regional anesthesia techniqueinto residents, trainees, fellows and colleagues: know your anatomy! If one knows where the nerve lives, knows the membranes and fascia that surround itand knows what its function is, the local anesthetic agent will be deposited in the right place and performing regional blocks will be straightforward. This mantra is mirrored in an impressive textbook that was recently released by Bentham Books and that undoubtedly will be a future landmark for everyone interested in regional anesthesia and pain medicine. 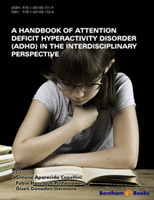 Its 389 pages comprise 23 chapters that were written by the editor and his 8 co-authors. The book starts with a well-written introduction that mirrors the editor’s respect for the groundbreaking work of pioneers and other authors that is omnipresent in the book. The chapters progressively tackle nerves above the clavicle, below the clavicle and the axilla-elbow-wrist, nerves of the anterior thigh, sciatic, ankle, the abdominal wall, the thoracic and the lumbar paravertebral space. Every “nerve” is approached following a fixed strategy where first the macroanatomy (know where the nerve lives! ), next the microanatomy (know the membranes and fascia that surround it!) and finally the sonoanatomy are described. Two chapters that describe functional anatomy (know the function of the nerve!) conclude the description of the upper and lower extremity. Finally, there are two chapters on abdominal and pelvic sympathetic ganglia and the anatomy of the head and neck. All chapters are well organized, extremely thorough and well written in a clear and precise way with very few typographical errors. They follow a logical order and offer ample up-to-date references (until 2015) or further reading. Key words and a list of used abbreviations are provided for each chapter. 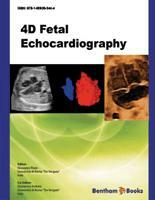 Many chapters will be of real interest even for very experienced practitioners. Throughout the book, there is an important place for the concept of the subcircumneural (subparaneural) space and its importance in understanding secondary block failure. Therepeated introduction to the different macroanatomy sections doesn’t hinder and is necessary for understanding the philosophy of the underlying chapter. Each chapter is generously illustrated with drawings, ultrasound images, microscopic and electron microscopic pictures and anatomical dissections.The illustrations are of exquisite quality and one of the absolute pillars of this book. However, the amount of detail that is squeezed into some illustrations or the use of small font in certain illustrations that are composed of three smaller photos sometimescompel to a bit of puzzling. Other images could use additional landmarks to facilitate orientation for less experienced readers. Included in the book are links to a high number of educational videos on ultrasound imaging, anatomy and interestingly on transcutaneous nerve stimulation that show muscle contractions when specific nerves are stimulated on a painted model. Information on different loco-regional techniques or blocks is beyond the scope of this textbook. Overall, Prof. Dr. Boezaart and his co-authors have done an exemplary work in creating thismuch-needed book that fills a long-lasting niche and offers an exhaustive and very high-quality overview for every reader of what is the foundation for accomplishing safe and effective regional blocks and acute pain medicine in our patients: anatomy, in all its aspects. As Dr. Boezaart noted in his preface, there are thousands of anatomy textbooks. However, this new work is unique in both its scope and depth (literally), as it covers the regional anesthesia-related anatomy from gross anatomy to ultrasound and fluoroscopic anatomy down to the electron microscopy level. The chapters are organized into neck, upper extremity and lower extremity sections, as well as neuraxial and paravertebral regions, abdominal and pelvic sympathetic systems, and abdominal wall. Each chapter is extensively illustrated with elegant drawings, meticulous dissections, microscopic histology images, well-chosen fluoroscopic images, ultrasound images annotated brilliantly with companion drawings, and amazing electron microscope images. In addition, there are multipleillustrationsutilizing thejuxtaposition of ultrasound images, physical anatomy, and dissections to emphasize the regional anatomy. Particularly intriguing is the liberal use of imbedded links to movies; although this reviewer did not have access to the videos themselves, they are described in the text, such as the Functional Anatomy chapters that had particular muscles and nerves painted on a model, which are used to trace the function and action of the anatomical structures. Although it was not consistent throughout the book, the grouping of the macroanatomy, microanatomy, sonoanatomy, and functional anatomy chapters for each region (neck, axilla, elbow and wrist, anterior thigh, sciatic nerve, ankle, abdomen and pelvis) was particularly useful, allowing one chapter’s concepts to lead to the next. I had the pleasure of working briefly with Dr. Boezaart at the University of Florida. He is a passionate teacher, and that passion is well illustrated in the depth and detail, as well as the clarity, of the information presented in this textbook. This book will be most useful to the serious student of regional anesthesia, and it will provide the basis for future research and modifications of techniques for years to come. As an anesthesiologist trained in the days of landmark-guided injections, it is exciting to me to see the level of scholarship, advancement of techniques, and attention to anatomic detail now availablewithin this book for the improved care of our patients.